Dental Implants are one of the most exciting and fastest growing treatment options in dentistry. In fact, the Millennium Research Group states that the US market for dental implants is expected to reach $2 billion by the end of 2012. These estimates are due to the overwhelming US population that is missing one or more teeth in addition to, patients becoming more responsive to the dental implant option and its benefits. As a dentist, it is your responsibility to increase your level of dental implant awareness in order to expand your practice and better serve your patients. 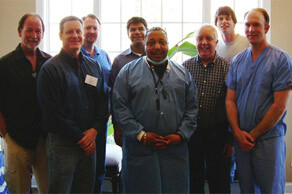 Implant Dentistry Made Simple is a two day comprehensive course that has been crafted by Dr. Andrew Kelly. This course is ideal for the dentist who wants to integrate both the surgical and restorative phases of dental implants into their daily practice. Our passion and knowledge of dental implants, hands-on laboratory exercises, and limited attendance creates the optimal learning experience. Patient selection, treatment planning, risk assessment, implant placement and loading, and implant restorative options are a few of the topics discussed. Implant Dentistry Made Simple empowers you to build the implant practice you desire. By providing a strong foundation of knowledge, live inter-active surgery and the hands-on exercises you will develop the confidence to move forward. The commitment to our participants does not end with the completion of the course; we are dedicated to your success and development of your implant practice. We understand that the field of implant dentistry requires a lifetime of learning and we will be there to guide as you expand your implant practice. 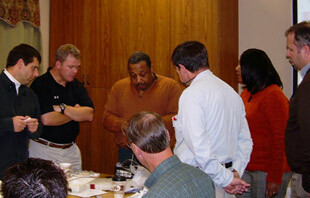 This exclusive course provides an outstanding continuing education experience that is second to none. Dental Office Solutions is an ADA CERP Recognized Provider. ADA CERP is a service of the American Dental Association to assist dental professionals in identifying quality providers of continuing dental education. ADA CERP does not approve or endorse individual courses or instructors, nor does it imply acceptance of credit hours by boards of dentistry. Concerns or complaints about a CE provider may be directed to the provider or to the ADA CERP at www.ada.org/goto/cerp.